The High Court has dismissed the June 19, 2018 application by lawyers for the opposition in the election petition cases for disclosure of certain election documents. The ruling on Tuesday is the third such ruling in the three-year trial of the election petitions that the main opposition New Democratic Party (NDP) has filed challenging the results in two constituencies in the December 2015 general elections. Earlier this year, Justice Esco Henry rejected an application by the petitioners to inspect the ballot boxes and their contents. 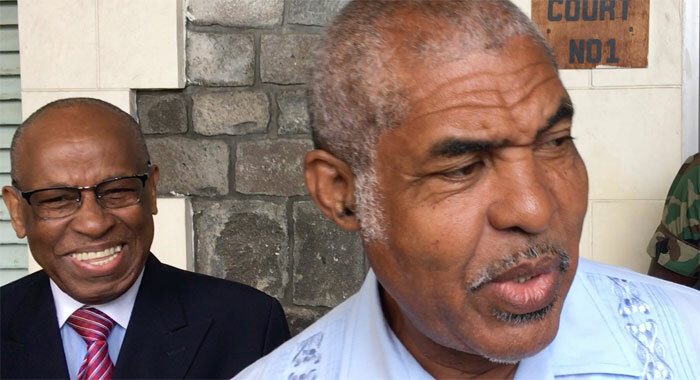 Over the past three years, the election petitions have sought to determine whether the declaration that Montgomery Daniel and Sir Louis Straker — of the ruling Unity Labour Party — are the elected representatives in North Leeward and Central Leeward are void. 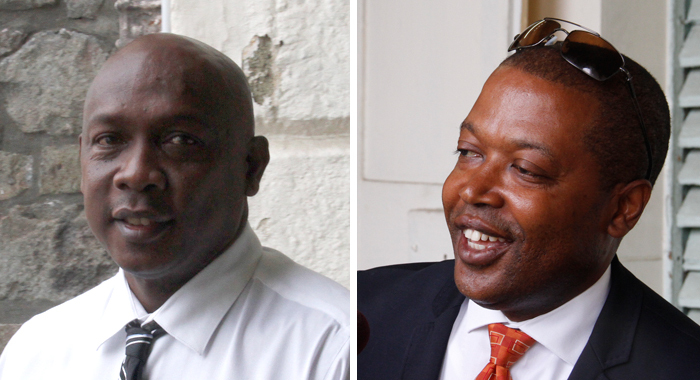 Lauron “Sharer” Baptiste and Benjamin “Ben” Exeter contested the respective seats on behalf of the main opposition New Democratic Party. They have alleged that serious irregularities took place in the polls, and are seeking, among other things, declaration that the elections in the two districts are void. In the June 2018 application, lawyers for the petitioners asked the court to allow disclosure of the packets containing marked copies of the registers; ballot paper account; the statement of rejected ballot papers; and the result of the verification of ballot paper account. They had also sought specific disclosure of the notes purportedly made at the final count of the ballots in Central Leeward election by election clerk, Clyde Robinson. The petitioners also applied for costs in the matter. The petitions based their application on the grounds that documents sought are directly relevant to the matter at issue in the petitions and are not prohibited under rule 53 of the House of Assembly Election Rules (HAER). They further submitted that the relevant laws permit specific disclosure of the referenced election documents. The respondents, however, submitted that the application for specific disclosure is the third of its kind and ought to be dismissed on the grounds that it is a “naked abuse” of the process. They contended that, in any event, the disclosure does not assist the petitioner, having not pleaded, as required by law, that the result of the election was in fact affected. However, the respondents objected to the application for specific disclosure, contending that the application is an abuse of the court’s process. In her ruling, Justice Henry said the petitioners have not advanced any reasons why they did not seek disclosure of those documents when they filed the first or second application for inspection. “They have not directed the court’s attention to any pleading from which the court could conclude that the documents are relevant. “It is not for the court to investigate this independently of the petitioners, less (sic) it be accused of stepping into the arena. “The court will refrain from conducting an exercise which would require it to review and analyse every paragraph in the petitions to determine whether such matters are pleaded,” Justice Henry said. She said she was of the view that there is no need for the petitioners to apply for specific disclosure of the referenced documents in the case, when they could have invoked the court’s power pursuant to rule 52 of HAER for production and inspection. Justice Henry said she was satisfied that the petitions could have made this application for specific disclosure at an earlier stage and that they failed to do so. “They have not explained why. I am, therefore, unable to determine if they had good reason for such failure. I am satisfied that to grant the referenced application would run afoul of the abuse of court principles,” the judge said, adding that for those reasons, the application is dismissed. The judge said that the respondents made no extensive submissions on the motion and she, therefore, makes no order as to costs. This whole exercise has been a fishing expedition with no bait on the line from day one meant only to keep the NDP base of voters from being even more disenchanted with this four time loser of a party than they already are. The main appeals will be lost as well setting the stage for five-in-a-row wins by a party that shouldn’t have ever won two in a row had it been faced by a credible opposition. It is more shame and scandal again. Corruption and abuse of power on all levels again. Do the plaintiffs really expect to win this case in a politically influenced Judicial system? Nothing rhymes. This simply should not be an acceptable outcome. When you consider that recently in Florida the courts allowed for the inspection of all voting records during the election. Those inspections found massive voting fraud and the previous winner was now the loser. Also last week in Jamaica the court ruled that the ballot boxes and all voting records could be inspected and photo copied. I hope that nasty politics are not at play in this matter. The petitioners here are a big joke and laughing stock. An absolute waste of tax payers finances and precious time that will not achieve any positive results or in any meaningful time frame which has long been gone . You are very right! One has to wonder how the courts in SVG can get away with so much Political Bias. I cannot see this happening in any country in the world except SVG. To refuse inspection of these ballot boxes is to refuse the Democratic Process in a nation that portends to be fair, free and to uphold Democracy and to go by the rule of law. Instead it shows the arrogance of a dictatorial government that cares little for fair and free elections. What if this happened in any other country? Passing out Building Supplies before elections is shameful enough. 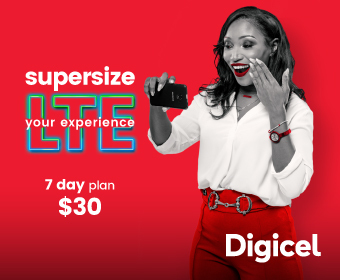 If the ULP won the election fairly, they should not be afraid of any oversight, but that seems not to be the case! What does that tell us? Nonsense. You have to give credible proof to inspect the ballot boxes, an act that could compromise the integrity of the election by making it possible to identify how particular individuals voted. For an election to appear free and fair, the confidentiality of the vote must be maintained. Jolly Green and r, have you read the petitions? As in read the entire pleadings? I am going to go out on a limb and say you did not and if you did, you certainly have no basic understanding of law because a first year student in UWI, will be able to tell you that the cases have no cause of action and any likelihood of success is as impossible as C-Ben being declared Minister of Know it ALL. For the sake of law, I cant wait for the substantial issues to be adjudicated to be able to explain the entire process to the regular man and woman. Perhaps, I will do a series of essays on this entire saga, following the practices of C- Ben, except with knowledge and no bias! If what you say is true, then why, yes why are the ULP delaying these petitions being heard? If they are so silly why do they have such expensive lawyers? If it is so easy they should be able to “win” this case is thier sleep. The fact is that the ULP has appointed so many judges that it will be difficult to get a judge that is not biased. As you should know, all the evidence in the world that the two elections in question were not stolen would never convince the ignorant true believers who already have their explanation at hand: crooked judges. For such people, their political biases and beliefs will always trump the facts on the ground. Oh, I forgot. Please tell us how I am a biased know-it-all lacking in knowledge. While you are at it please also tell us why envy is not the highest form of flattery.